Ideal for all skin types this gentle, organic and nourishing day cream from Green People helps to prevent premature ageing and cell damage. Rich in essential fatty acids and antioxidants this rebalancing moisturiser contains organic Aloe Vera, Hemp, Jojoba, Green Tea& chamomile and is gentle scented with natural Rose Geranium. This moisturiser also features natural sun-screen protection (SPF 15) thanks to titanium dioxide and cinnamon derived UV-filters. Free from Parabens, Lanolin, alcohol (ethyl alcohol, ethanol), artificial perfumes, petrochemicals, phthalates and colourants. 85% certified organic ingredients, contains fairly traded ingredients. Directions for use: Apply in the morning to a freshly cleansed and toned face and neck using gentle stroking movements. 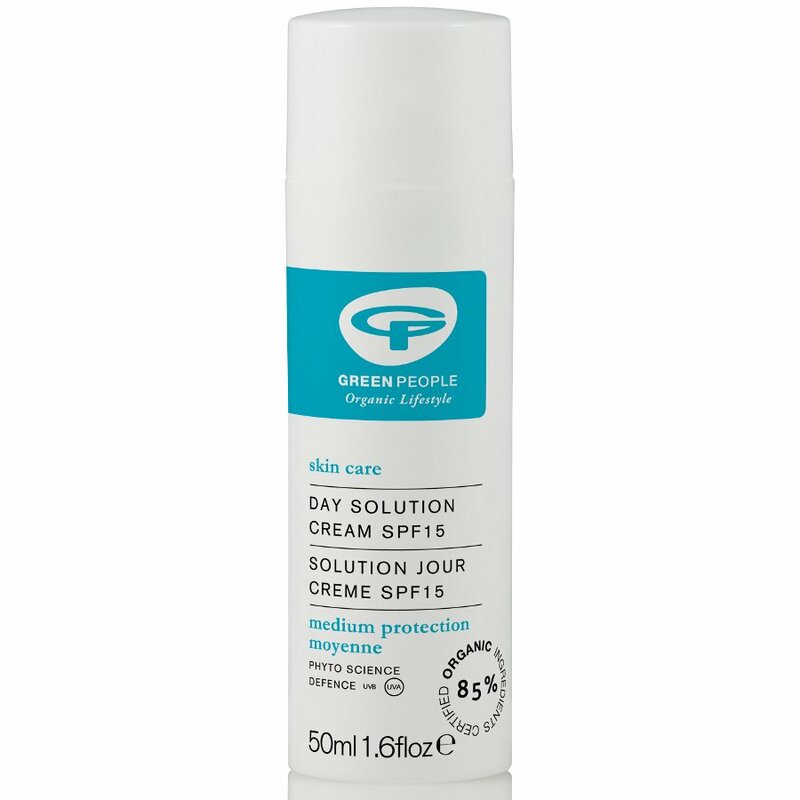 The Green People Day Solution Moisturising Cream SPF15 50ml product ethics are indicated below. To learn more about these product ethics and to see related products, follow the links below. I use this product, as a daily moisturiser, simple, non-greasy, leaving the skin soft and smooth. Smells lovely, sinks into skin well and feels great. The SPF is great to protect my skin from everyday exposure. 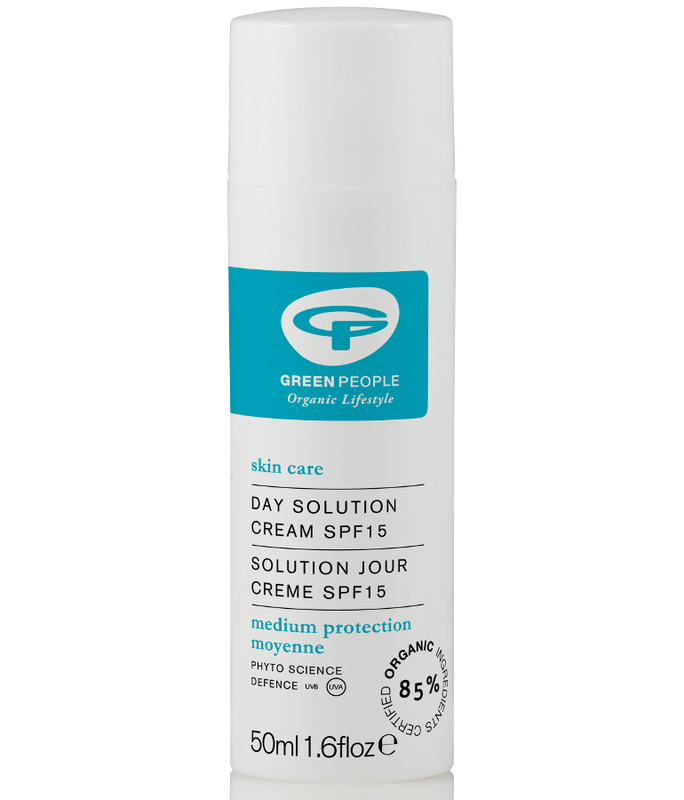 There are currently no questions to display about Green People Day Solution Moisturising Cream SPF15 50ml.